As I have talked about in previous posts, my skin is not exactly perfect. It has been a struggle to find products that actually help it instead of harm it. It has been hard to find products that will help to hide some flaws on my face without having to pile on so much make up only to have it get stuck in my pores or scarring, making it look so much worse. I also don’t want products that contain too many toxins and I always opt for more natural products, where possible. I think I have finally found the best combination for me in addition to what I use to cleanse my face. Read about my favourite skin care products, here. Previously, I have written about The Natural Art of Skin Care Spa in Calgary. This is where my healthy skin journey began. The routine facials have done wonders for my skin and being introduced to the Eminence Organic Skin Care line has been a life saver. More recently, I was struggling with my make up clogging my pores but my skin could also look oily if I used a liquid foundation, and good luck finding one of those that is more natural (there are a few, but tough to find). I had used Jane Iredale products in the past and I really liked them. They are a bit pricey, and as a university student, it was hard to justify. 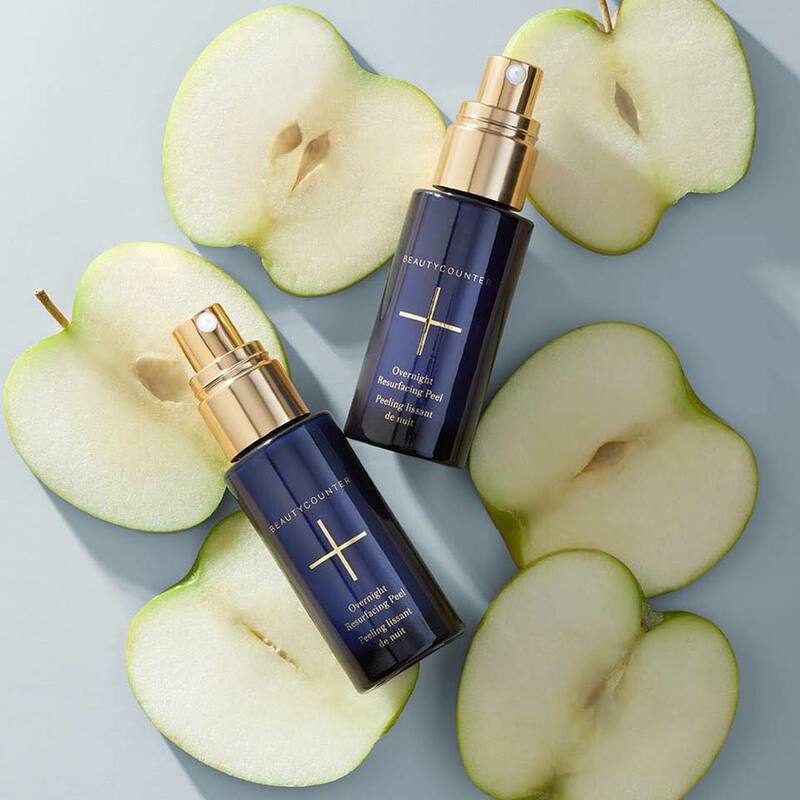 I decided to go back to them though, knowing the foundation a better choice as far as toxins go and the company really values creating less toxic, more natural, quality products. So, I thought I would share a few of my favourite products that I use every day to try to get my skin to the best place possible. 1. Eminence Organic’s Clear Skin Probiotic Moisturizer. I find not only does it moisturise it works to heal and detox my skin in between facials. Since using it I have noticed less black heads and my skin’s overall appearance has seen an improvement. It isn’t exactly an every day product but I tend to use it every other day alternating with another Eminence moisturizer. The Eminence skin care products are super high quality and are mostly plant derived from the company’s gardens in Hungary. 2. The Jane Iredale Super Pressed Mineral Foundation. I find it hard to find a clean foundation but Jane Iredale offers some stellar products. I love this super pressed mineral foundation. It is light with amazing, even coverage and it is rated a 2 on the EWG Skin Deep database which is pretty good. It also includes an SPF, which is key. 3. 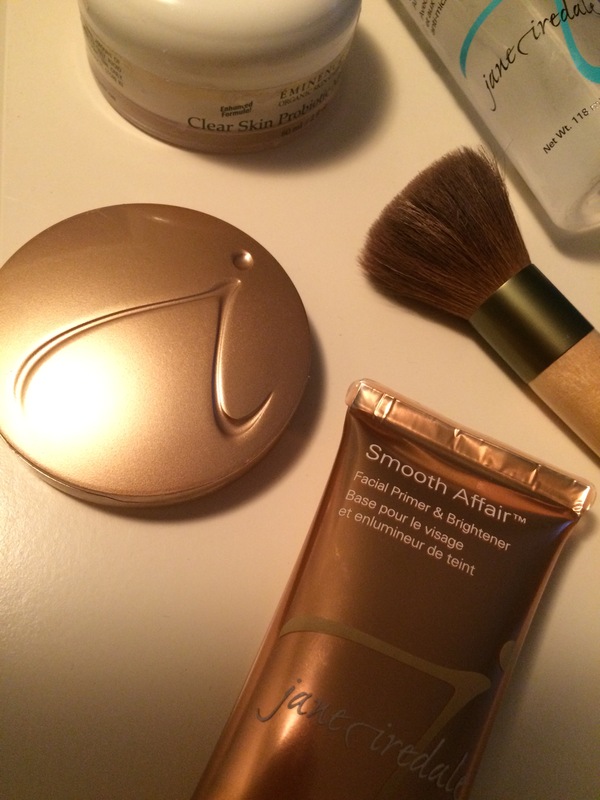 Jane Iredale Smooth Affair Facial Primer and Brightener. Primers make all of the difference in my make up routine. If I don’t have a primer on, it is easier for my pores to be clogged by the foundation and throughout the day my makeup gets into the scars and pores on my face making it look uneven and just nasty. A primer is really the first step (after moisturizer) to a flawless face and the Smooth Affair Facial Primer and Brightener helps to give me a bit of the dewey look. This one isn’t perfectly non-toxic but it is definitely a better much better option than others out there. 4. Jane Iredale Botanical Brush Cleaner. If you’re looking for a quick way to give your brushes a quick clean up each day? This brush cleaner is awesome. It smells like grapefruit and a few quick sprays and a few dabs on a paper towel are all you need. It helps to keep bacteria off your brush which could be causing break outs. It’s a great option in between thorough brush cleans. 5. Tata Harper Very Volumizing Lip and Cheek Tint. I’ve been using this product for quite a while now. I love it. I love that it can be used on both your cheeks and lips and that it is easily blended into your cheeks. I love the subtle colour it can add to your cheeks or you can make it more of a bold pop. The best part is scores a 2 on the EWG Skin Deep database.